Humidity. Measurement and trusting the numbers. Humidity is important. When I build a guitar in my shop, I try to control the humidity. The wood must by dry. I have three ways to change humidity. First is a dehumidifier. It gets used mostly in the summer, but rarely even then. I have a cool mist humidifier. I also have a heater. 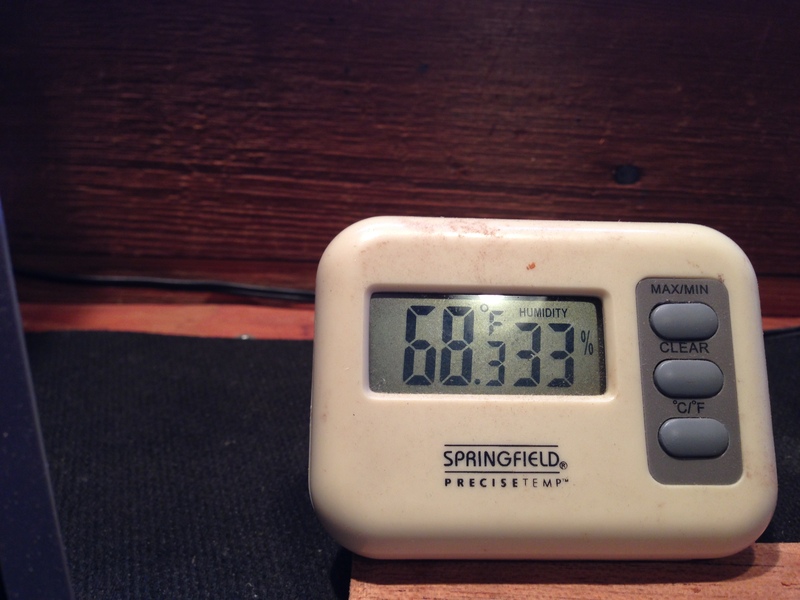 The heat lowers the humidity in the shop quite a bit. But before you control it, you have to measure it. 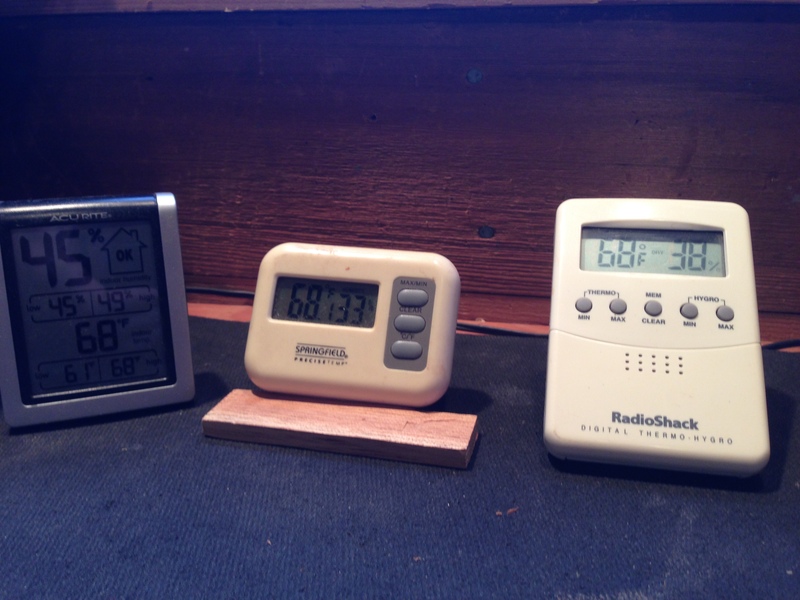 I have two moisture meters to measure the humidity in each piece of wood that I use. Both give similar readings but I have two to make sure that every piece of wood that I use is as dry as it can be before it goes into a guitar. Humidity in the air is important when building instruments. 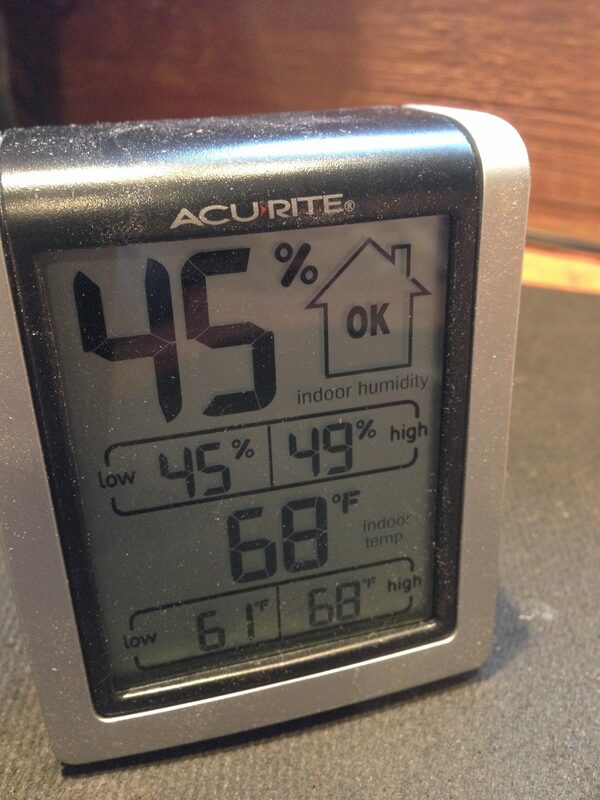 I control it with a dehumidifier, or a humidifier when the relative humidity in the shop goes too far up or down. How can I tell? I have a favorite hygrometer. Here are three. Notice that they all report the temperature as 68 degrees Fahrenheit. Relative humidity is another issue though. One reports 45%, another reports 33%, and another 38%. Yes. Different hygrometers give different readings. The numbers seem exact until you realize the validity is in doubt due to individuality of the devices. This entry was posted in workshop and tagged humidity. Bookmark the permalink. 4 Responses to Humidity. Measurement and trusting the numbers. Caliber IV digital hygrometer that I keep in the practice room. They were off from each other by one degree but I haven’t ran either of them through the Boveda calibration test yet. Before I “went digital,” I had an analog dial hygrometer which was considerably off.. I look forward to seeing your results with the Boveda bag. Your guitars will appreciate the extra attention to this important environmental factor. Are you having temperature/humidity swings? concerns? I feel better now after getting some digital hygrometers, because the old dial model didn’t move much. 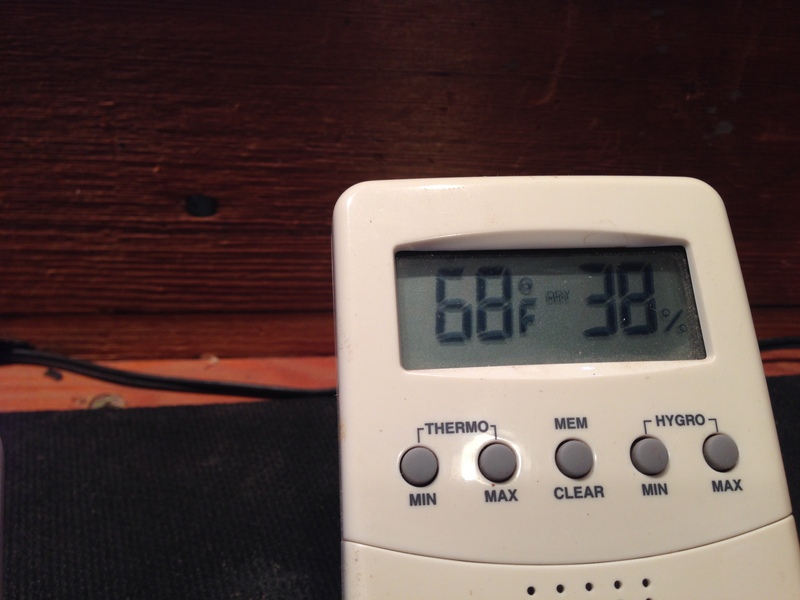 During clear, cold days, I’m seeing relative humidity drop into the low-mid thirties in the practice room. It gets back up into the forties after days of rain. The new oasis gizmo is keeping the (Hiscox) case humidity well into the fifties, even low sixties after I refill it. I’ll have even more peace of mind when I check them with the Boveda kit. Dake has a nice video on the subject on YouTube. 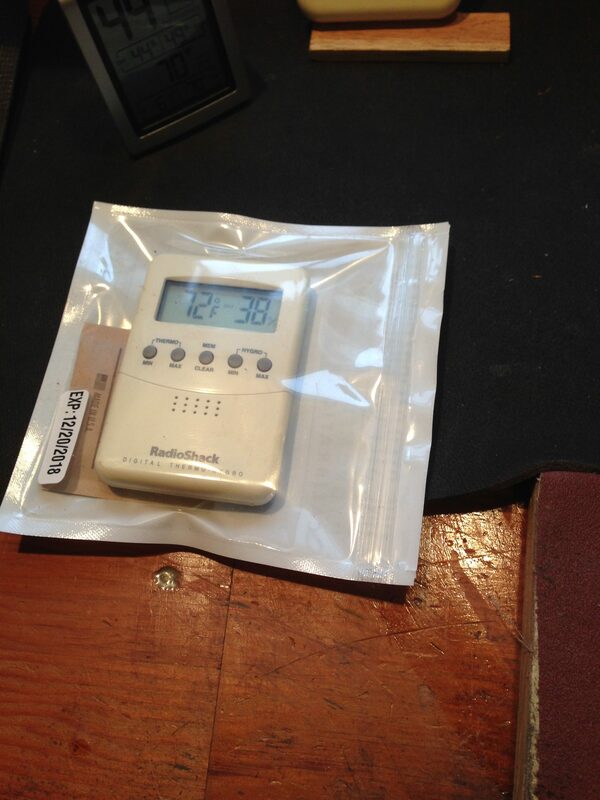 He recommended the Boveda hygrometer. It’s one of the few (non lab grade) that is adjustable to calibrate after testing in the included Boveda bag. My Acurite is +/- 5% or more. If you look at the specs on any of these they range in accuracy 2-5%, most 5%. So now claim much accuracy. At least you can calibrate the Boveda which claims +/-2%.